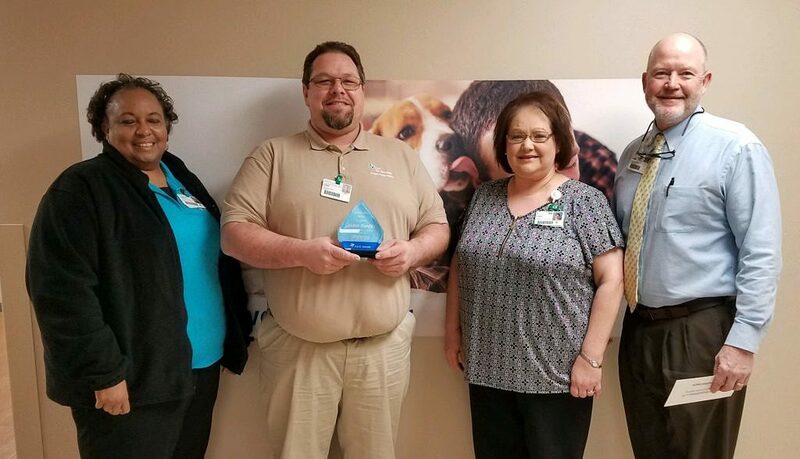 John Smith was named Service Hero at Morrilton for displaying the values of COMPASSION and REFERENCE. Holiday travel can be dangerous. An accident that results in an ER visit, can really put a damper on the holiday spirit, especially when you’re away from home. John understood and helped a traveling patient retrieve her belongings from her wrecked vehicle. He and his wife took the patient to the wrecker lot, John got everything she needed from her vehicle (in the pouring rain) and took her back to the hospital to meet her husband who was traveling to pick her up.